Q. How do I get more information and support about e-Learning for Healthcare? 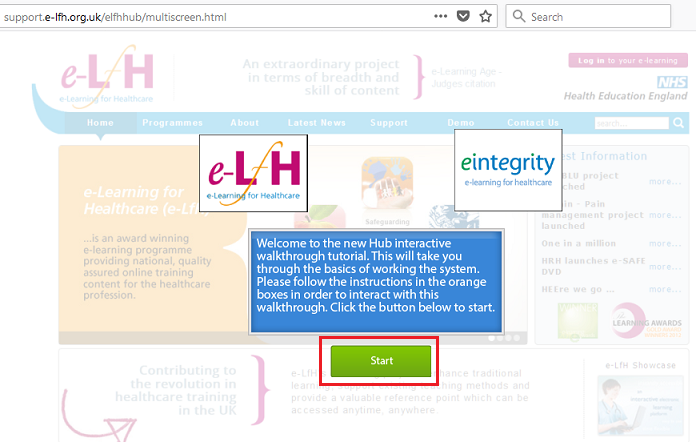 After you sign in to e-Learning for Healthcare (see links below) you should be able to select the e-Learning courses you need to complete and obtain the certificates (these are available under My Activity, top right). Download the certificates and save them to your Pebblepad area on Blackboard. 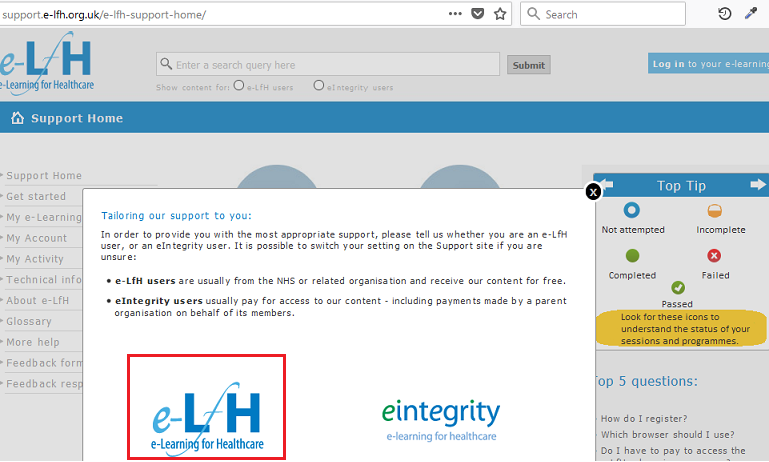 Choose e-LfH and select the option you require including quick start guide and forgotten password - you can contact e-Learning for Healthcare's support team directly via the general Support Form at: http://portal.e-lfh.org.uk/contact_us. 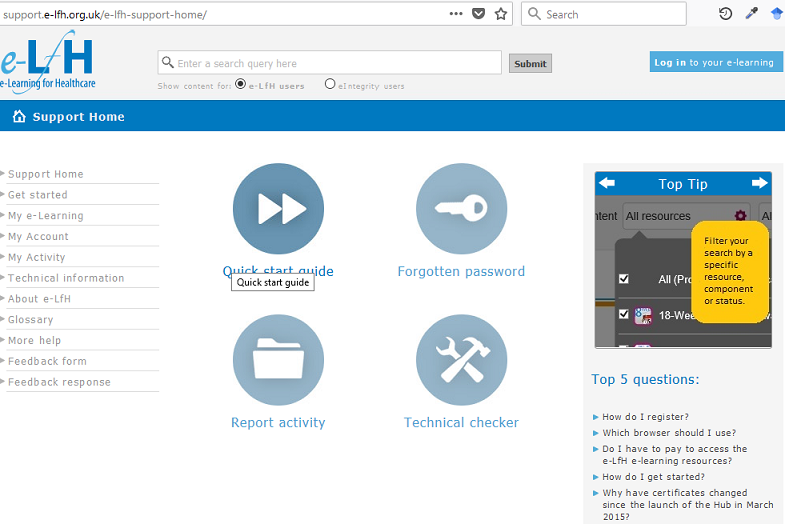 How do I sign in to e-Learning for Healthcare?